An American flag blanket is a project for someone who has a basic knowledge of crochet stitches. The only part that is a bit challenging is making the stars; otherwise, it is relatively easy. Start at the bottom with red. Make 200 chain stitches. Make a row of double crochet. Do the first stitch in the fourth stitch from the hook and continue across. Chain three and turn. For the second row, do the first double crochet in the second stitch from the hook. Repeat the second row until you have seven rows done. It should measure about 3 ½ inches. Switch to white. Do seven rows the same as you did row two above. You do not need to cut the yarn when you switch colors. Switch back to red and white until you have a total of six sections with seven rows each, ending with white. Make the stars. The number of stars you need depends on the style of the flag. 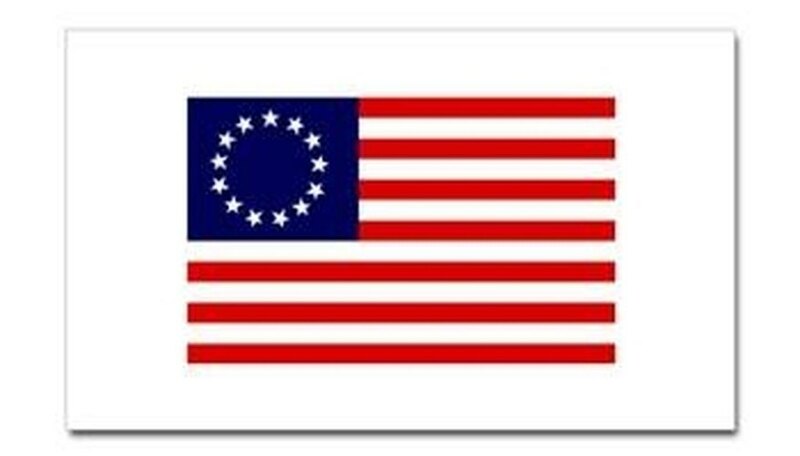 You can do 50 for the way the flag is now or 13 for the original flag, designed by Betsy Ross, with 13 stars in a circle. To make the stars, use the white yarn and chain four. Make a circle by joining them with a slip stitch. Make 15 single crochets in the big center hole, not in the chain itself. Next, make the points of the star. Chain six. In the second chain from the hook, single crochet in the next chain, half double crochet in the next chain, double crochet in the next chain, triple crochet in the next single crochet from the ring. Skip the next two single crochet and slip stitch in the next. One point is made. Now work from the chain six, four more times to make a five-pointed star. Make stars in different sizes by using a smaller hook. Make just one of each size and see how it fits in the blue field. You will need a smaller one if you want to do 50, but you can always do a retro flag like the 13- or 15-star ones. Make a border. There are multicolored yarns available in red, white and blue, but you can choose to do one round in red, one in white and one in blue. This will also hide the yarn from when you changed colors. Do three rounds in double crochet, making three stitches in each corner for turning. Buy a little extra yarn. You can always use the leftovers on another project. Buy the yarn in large 8 ounce packages. You save a bundle of money over the smaller size.